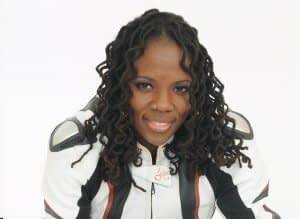 Back in August a stuntwoman named Joi “SJ” Harris was killed on the set of the Untitled Deadpool Sequel. It was a terrible and tragic accident that, according to some sources, could have been avoided. Harris was brought on as a stuntwoman for Zazie Beetz, who is playing Domino in the movie. In the latest issue of Entertainment Weekly Beetz comments on the accident. Beetz didn’t get the chance to meet Harris, but she does feel like Harris was part of the team. She also hopes that people will remember Harris for her accomplishments and not the accident. Harris was a badass who left this world way too soon. The work of stunt teams and how dangerous their jobs can be cannot be understated. May Harris rest in peace. Untitled Deadpool Sequel, directed by David Leitch, stars Ryan Reynolds, Morena Baccarin, T.J. Miller, Josh Brolin, Brianna Hildebrand, and Zazie Beetz. It will be released on June 1st.